Tucson, Arizona is a place for runaways. Everyone came from somewhere else and has a story about what they left behind. Delilah arrives on her brother's doorstep with a secret. She hasn't seen him in five years. He ran away from their family long ago for reasons no one talks about and she still doesn't understand. The stress of raising his teenage daughter alone sometimes makes David envious of his deliberately childless friends, Tim and Sara, but they're runaways too, harboring secrets of their own. 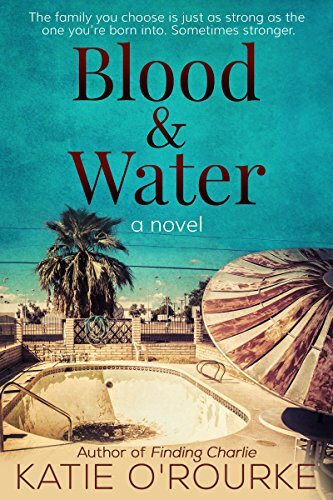 Blood & Water tells their stories and traces the deep connections between this unlikely group of friends. This novel is about family, in its various manifestations: the one you're born into, the one you choose and the one you create. If you would like to have a book feature or interview, please contact me directly!